Takdah can be a perfect answer for those who want to avoid tourist congested hill towns but still like to enjoy the lovely mountains, scenic views, the tea gardens, blooming orchids, the walking trails through the coniferous forests on mountain slopes. Takdah is located at an altitude of about 4,000 ft and close to Darjeeling (about 28kms away and an hours drive from Darjeeling), yet far enough to be isolated, quiet and serene. Although the altitude is much lower than Darjeeling town, the place is cooler compared to its surrounding area.Takdah started as a military cantonment during the British colonial days in early 1900s. During those days, many senior British officers frequently visited this place. And therefore many bungalows and houses came up here for their accommodations. Those houses were built in traditional British architecture with slanted roofs. While after India's independence the British have left the place, those house and many other establishments, which they built, were left behind. Most of these house were built between 1905 and 1915. They now either belong to some locals or have been taken over by establishments like schools. And some locals have renovated the houses and offer them as guesthouse accommodations. So that gives you a rare opportunity to stay in a heritage bungalow and enjoy the old colonial charm & aura in such houses which belonged to the British once. Will come to the accommodations later. 1) Some of the finest tea gardens of Darjeeling district are located in Takdah. You can walk down or take a local taxi tour to some of them and enjoy the tea gardens on rolling hills. The main tea estates in Takdah are Rungli Rungliot, Gielle, Namring, Jinglam, Poomong, and Teesta Valley estate. You can also visit the estate factories and watch the tea processing. Rungli Rungliot is one of the prettiest tea garden and most picturesque. It's about 2kms downhill from Takdah market area. The lush tea garden landscapes surrounded by mountains and Teesta flowing far below makes a stunning ambience. There is a saying that a monk had apparently named this tea garden when he was searching for the best tea in Darjeeling district. In fact the name Rungli Rungliot actually means 'Thus far and no further'. The former Director's wooden Bungalow on a hill top has four luxury rooms with lovely views. 2) Further down from Rungli Rungliot you will reach the Gielle Bhanjyang Bazaar, also known as Gandhi Chowk. Once there used to be a statue of Mahatma Gandhi here, but no longer so. This is the border point of Jinglam Tea Estate and Gielle Tea Estate. 3) Takdah has a great Orchid Center spread across vast stretch of area. It's about half a kilometer from the market area towards 6th mile. Here you can see many different kinds of unusual and colorful Himalayan Orchids being cultivated and grown. Many tourists come to Takdah particularly to visit the Orchid Center. 4) There is a small monastery in Takdah whose actual name is Dechhen Pema Tshoiling Monastery, but locally known as Takdah Monastery. A steep uphill boulder road after the market area leads to a steep stairway. You will need to climb several flights of stairs to reach up to the Monastery. But once there, the views are awesome. From here you can get sweeping view of Rungli Rungliot Tea Gardens, Teesta Valley Tea Estate and Durpin Dara View Point, Kalimpong etc. 5) Visit Tinchuley, another lovely hamlet about 3kms away from Takdah and famous for its lovely views of Himalayan range including the snow peaks of Kanchenjunga and spectacular sunrise views. 6) Lamahatta Village with its magnificent gardens and views of Kanchenjunga is about 12kms from Takdah (40 minutes). 7) Another nearby place is Mongpu where you can visit the orchid nurseries, the famous museum of poet Rabindranath Tagore, and see the vast Cinchona plantations. 8) Visit the lovely orange orchards located in Bara and Chota Mangwa (both about 12kms from Takdah). The small factories here produce fresh orange juice and you can buy a few bottles of them. Tastes delicious and absolutely fresh. 9) A great place to visit by car is Triveni - the confluence of rivers Teesta & Rangeet. 10) Visit the Durpin Viewpoint located about 10kms from Takdah. You can get a spectacular view of Teesta river meandering through the mountain landscapes. You can also get lovely view of Kanchenjunga from here. 11) Peshoke Tea Garden Viewpoint is about 14kms away and offers wonderful view of the tea gardens on hill slopes. 12)Several British bungalows and houses were built in Takdah in early 1900s (some 14 of them) during the British Raj days.One must go around watching the amazing architectures of such houses, the lovely gardens they have and the aura around them. Some of the well known houses are The Takdah Club House (about a km away, was abandoned for a long time but now a Forest Rest House), Rani Kotthi (now converted to a church), Forest Guest House, Sonpur House also known as Takdah Palace built in 1911 and located near the Club House (it's in ruins now), Old British Post Office etc. Some have been converted into schools like Green Shields Academy, Griffith High School etc. From Darjeeling,one need to come up to Jorebungalow and take a left to Peshoke road. At a place called 6th Mile take right towards Takdah, while the original road continues towards Teesta Bazaar (Note: here the places are named on their distances from Jorebungalow like 3rd mile, 6th mile, 9th mile etc). While coming from NJP or Bagdogra, one need to take Sevoke road and then come via Teesta, Rambi etc. Reserved taxis are available from NJP, Bagdogra, Siliguri and Darjeeling. There are also shared taxis/Jeeps available from Siliguri to Takdah. They leave from Sevoke Road, behind Vishal Cinema Hall or Ranjit Garage behind 9/10 Hotel Sevoke. Buses are available (in the afternoon) from Darjeeling to Takdah. Glenmarie Homestay , Takdah is a budget property, has an advantage of nearest Railhead, NJP and bagdogra Airport. The property has an exquisite rooms furnished for comfort as well as to delight.Nestled in the beautiful city of Takdah, which is one of the upcoming tourist centres of the Darjeeling hills. The rooms have premium furniture installed and all rooms have entertainment equipment as a standard. The city has many exciting and interesting tourist spots which the visitor can explore. Have a delightful experience at the well-manicured lush green surroundings! "Ghonday Kothi Takdah", It is in Darjeeling District’s Runglee Rungliot area,Situated at an altitude of 5100 feet, here you can take a walk in the cedar and pine forests, stopover at a local orchid garden, drop at some of the famous heritage British bungalows and watch the local women pick tea leaves from the endless stretches of tea gardens. both the places. Homestay serves pure veg delicacies. 3 Double Bed Rooms@Rs.1300/- per Room per day. 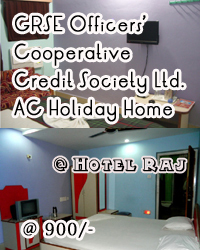 1 Triple Bed Rooms@Rs.1500/- per Room per day. 4 Tent Accommodations - Rs.800/- per Tent per day - Max 3 Persons are allowed per Tent, Attached Western Toilet. one can enjoy the views of the idyllic mountain region. upgraded modern facilities for guests. heritage residency built on 1911 by British at Takdah cantonment. Now this bungalow is a homestay and is situated in the heart of Takdah.